Sassy, smart and definitely the best-dressed fairies in town! 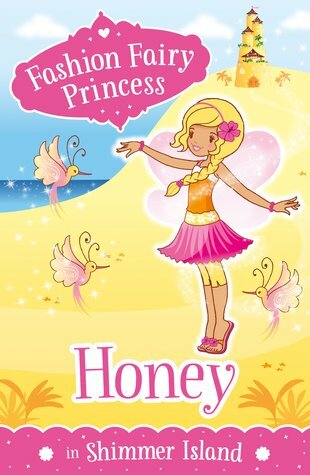 Princess Honey has invited the other fairy princesses for a holiday on Shimmer Island. The fairies can’t wait, and pack their suitcases with the perfect summer outfits. That evening, Honey and the islanders throw a fabulous welcome party, and they dance all night to the music of the shell drums. But the next day, they awake to find the island in uproar. The bottles of sunshine, stored behind the magical waterfall, are missing. Who has stolen the sunlight, and what does it have to do with a grumpy old sand fairy?